My old friend insomnia came for a visit this morning. No sleep from about 2:00 through at least 4:00 AM. Wandering around the house I peered from our window and could see the sky had remained beautifully clear. I unlocked the door, stepped outside, and stargazed for a while. The Moon was masked by a few local clouds but elsewhere bright stars glowed through. 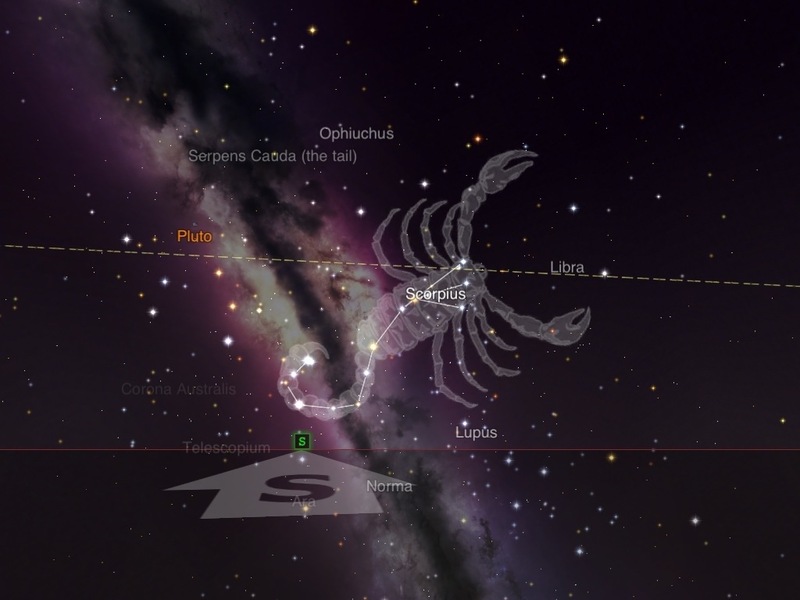 I smiled when I looked southward and saw brilliant lights forming a familiar “T” above the treetops — Scorpius, the scorpion with a glowing red heart! The air was still but cold and I was in tee shirt and stocking feet. I returned to the house, climbed back into bed, and returned to sleep. Calm lamps, indeed. Image generated in “Star Walk” for iPad.